Created at about 2006 from a variety of source images. 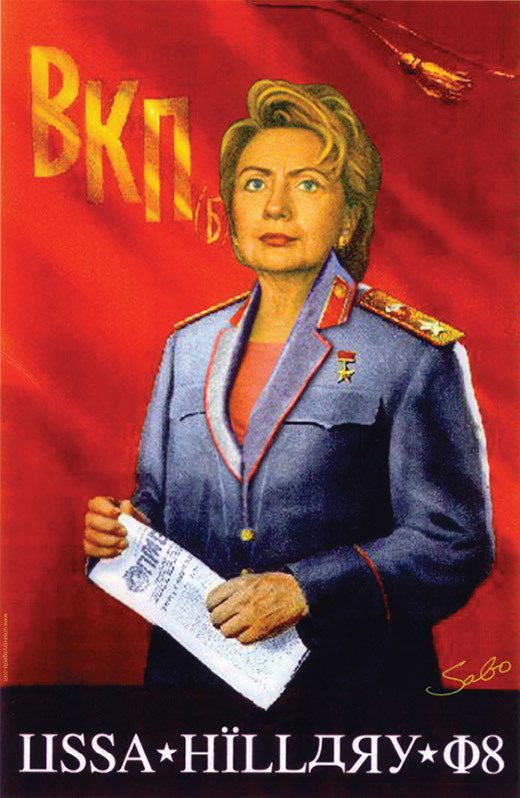 She is our Communist Darling, Feminist High Mistress. Hillary is far from a red. She’s attached to Corporate America via umbilical cord. What makes you think Korporate Amerika isn’t Kommunist in nature? Check out socialist Robert Minor’s 1911 political cartoon in the St. Louis Post-Dispatch. These two pieces have more relevance today than when created in 2008. Thank God America chose to wake up and elected POTUS Donald Trump.